Figure 1. Is coffee elastic or inelastic? Substitutes: Price elasticity of demand is fundamentally about substitutes. If it’s easy to find a substitute product when the price of a product increases, the demand will be more elastic. If there are few or no alternatives, demand will be less elastic. Necessities vs. luxuries: A necessity is something you absolutely must have, almost regardless of the price. A luxury is something that would be nice to have, but it’s not absolutely necessary. Consider the elasticity of demand for cookies. A buyer may enjoy a cookie, but it doesn’t fulfill a critical need the way a snow shovel after a blizzard or a life-saving drug does. In general, the greater the necessity of the product, the less elastic, or more inelastic, the demand will be, because substitutes are limited. The more luxurious the product is, the more elastic demand will be. Share of the consumer’s budget: If a product takes up a large share of a consumer’s budget, even a small percentage increase in price may make it prohibitively expensive to many buyers. Take rental housing that’s located close to downtown. Such housing might cost half of one’s budget. A small percentage increase in rent could cause renters to relocate to cheaper housing in the suburbs, rather than reduce their spending on food, utilities, and other necessities. Therefore the larger the share of an item in one’s budget, the more price elastic demand is likely to be. By contrast, suppose the local grocery store increased the price of toothpicks by 50 percent. Since toothpicks represent such a small part of a consumer’s budget, even a significant increase in price is likely to have only a small effect on demand. Thus, the smaller the share of an item in one’s budget, the more price inelastic demand is likely to be. Short run versus long run: Price elasticity of demand is usually lower in the short run, before consumers have much time to react, than in the long run, when they have greater opportunity to find substitute goods. Thus, demand is more price elastic in the long run than in the short run. Competitive dynamics: Goods that can only be produced by one supplier generally have inelastic demand, while products that exist in a competitive marketplace have elastic demand. This is because a competitive marketplace offers more options for the buyer. With these considerations in mind, take a moment to see if you can figure out which of the following products have elastic demand and which have inelastic demand. It may be helpful to remember that when the buyer is insensitive to price, demand is inelastic. The demand for gasoline generally is fairly inelastic, especially in the short run. Car travel requires gasoline. The substitutes for car travel offer less convenience and control. Much car travel is necessary for people to move between activities and can’t be reduced to save money. In the long run, though, more options are available, such as purchasing a more fuel-efficient car or choosing a job that is closer to where you work. The demand for gasoline from any single gas station, or chain of gas stations, is highly elastic. Buyers can choose between comparable products based on price. There are often many stations in a small geographic area that are equally convenient. Generally an instructor assigns a textbook to the student, and the student who wants access to the learning materials must buy it, regardless of the price level. Because the student can’t easily identify another textbook or resource that will ensure the same content and grade for the class, he has no substitutes and must buy the book at any price (or opt not to buy it at all). Increasingly, students have new options to buy the same textbooks from different distribution channels at different price points. These include textbook rentals and digital versions of the text. The introduction of new distribution channels is increasing options for buyers and having an impact on the price elasticity for publishers. 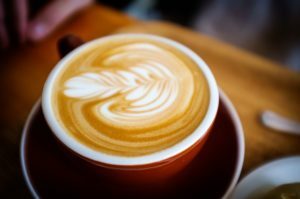 Many coffee shops have developed branded drinks and specialized experiences in order to reduce substitutes and build customer loyalty. While black coffee is available almost universally, there are few substitutes for a Starbucks Java Chip Frappuccino. Demand for such products is more inelastic. Coffee is generally widely available at a level of quality that meets the needs of most buyers. The combination of a low price, relative to the buyer’s spending power, and the fact that the product is sold by many different suppliers in a competitive market, make the demand highly elastic. Only Taylor Swift can offer a Taylor Swift concert. She holds a monopoly on the creation and delivery of that experience. There is no substitute, and loyal fans are willing to pay for the experience. Because it is a scarce resource and the delivery is tightly controlled by a single provider, access to concerts has inelastic demand. Airline tickets are sold in a fiercely competitive market. Buyers can easily compare prices, and buyers experience the services provided by competitors as being very similar. Buyers can often choose not to travel if the cost is too high or substitute travel by car or train. Essential medical procedures have inelastic demand. The patient will pay what she can or what she must. In general, products that significantly affect health and well-being have inelastic demand. Soft drinks and many other nonessential items have highly elastic demand. There is competition among every brand and type of soda, and there are many substitutes for the entire category of soft drinks.